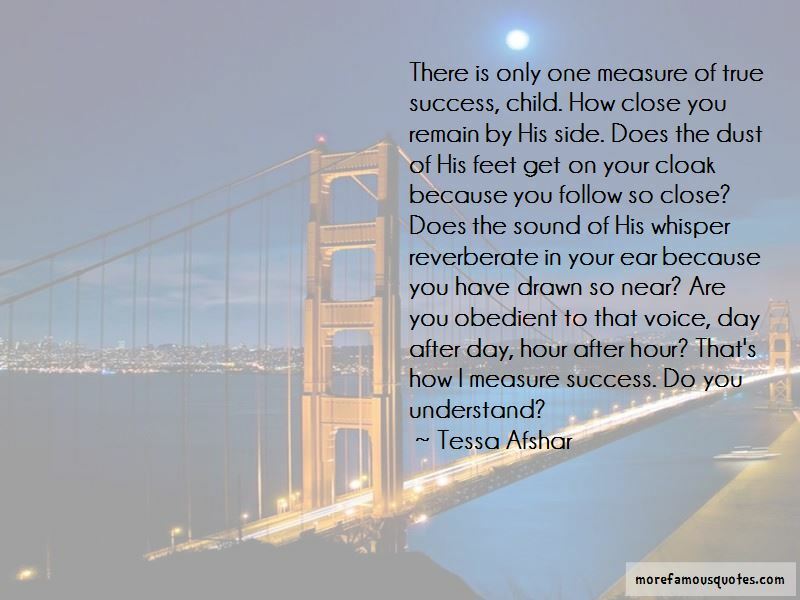 Enjoy the top 14 famous quotes, sayings and quotations by Tessa Afshar. Some of these walls had been of my own making; my rebellion, my resistance; my arrogance, my need for control. Some had been built around me by the misfortunes of life; my loneliness; my orphaned heart; my fear of rejection. I had kept God at bay, and cheated myself of the warmth of His mercy. Then it dawned on Joshua that God was not on Israel's side. He beckoned Israel to be on His side. 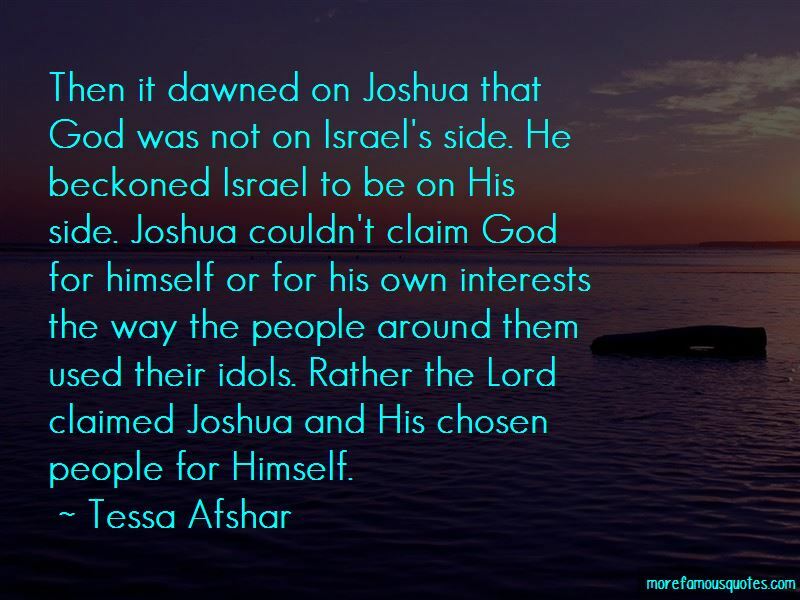 Joshua couldn't claim God for himself or for his own interests the way the people around them used their idols. Rather the Lord claimed Joshua and His chosen people for Himself. What do you think destiny is? A smooth path that never jostles you? No. When you walk in your destiny, you will crash and fall more times than you can count. But the secret is to hold on to God's vision for your life - and for the lives of those He puts under your charge. No matter how many times you fall, crash, and fail, you get up. You get up and face your obstacles. 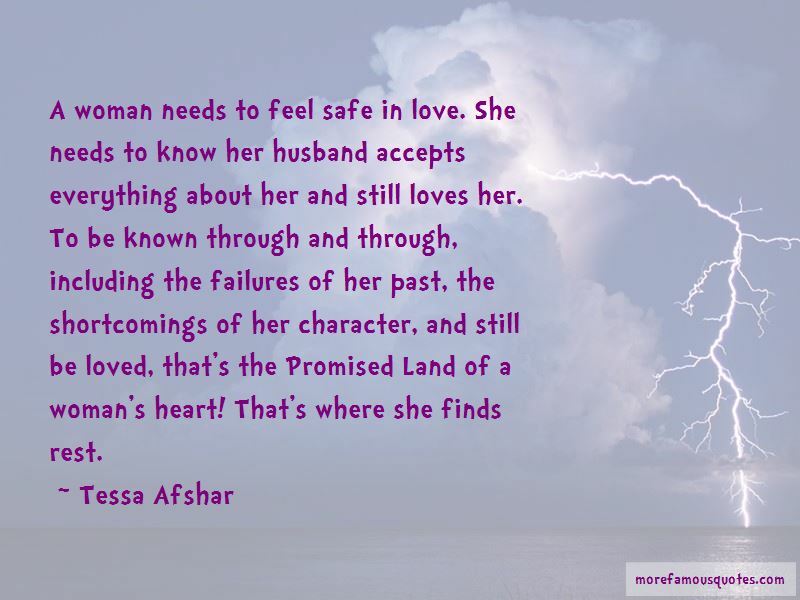 Want to see more pictures of Tessa Afshar quotes? 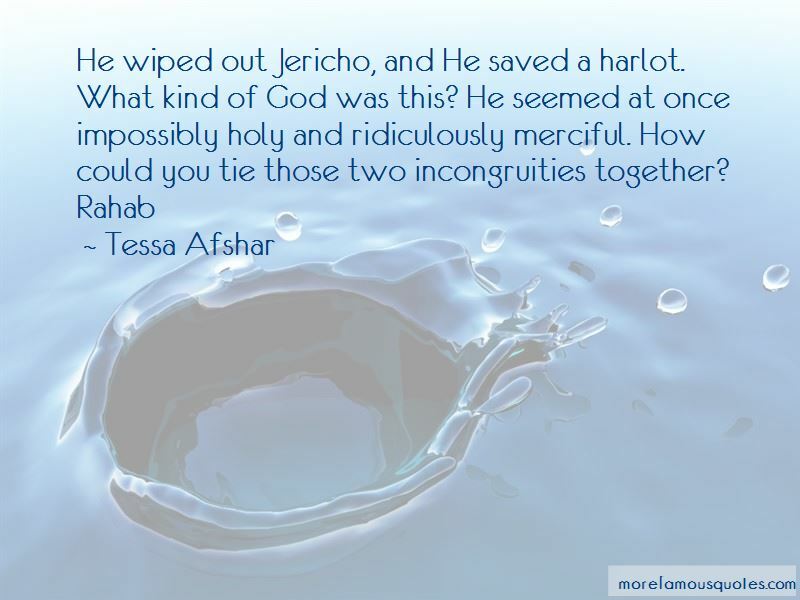 Click on image of Tessa Afshar quotes to view full size.